Gallery walk will be a double treat this month with two artists being featured. New Cloisonne/Silver Jewelry works by Barbara Bennett will shown this Friday evening. 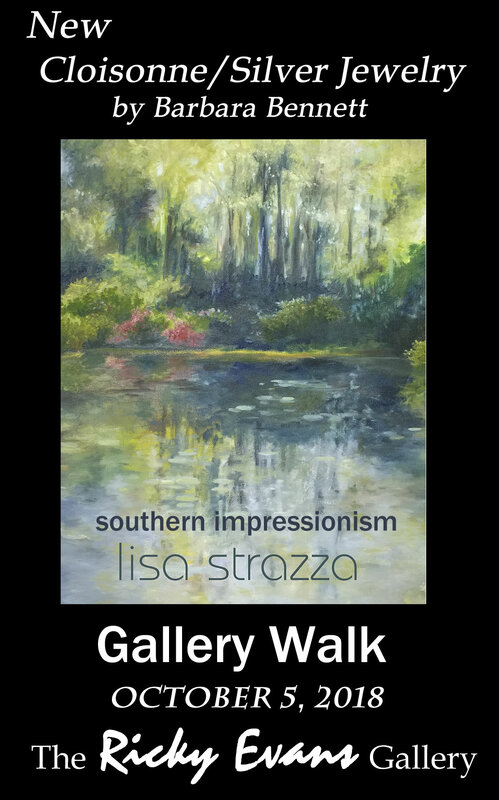 Also, because of the hurricane we are continuing Lisa Strazza’s Southern Impressionism show of new oil paintings.